A T-Rex with sinus issues, a sheep with social anxiety and a clumsy llama. 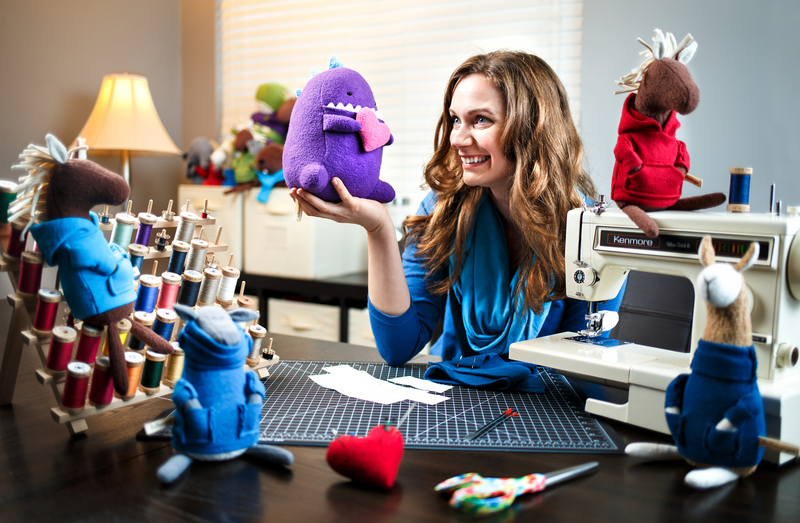 The stuffed animal creations made by Greensboro’s Jenny Maj, 31, are far from ordinary. 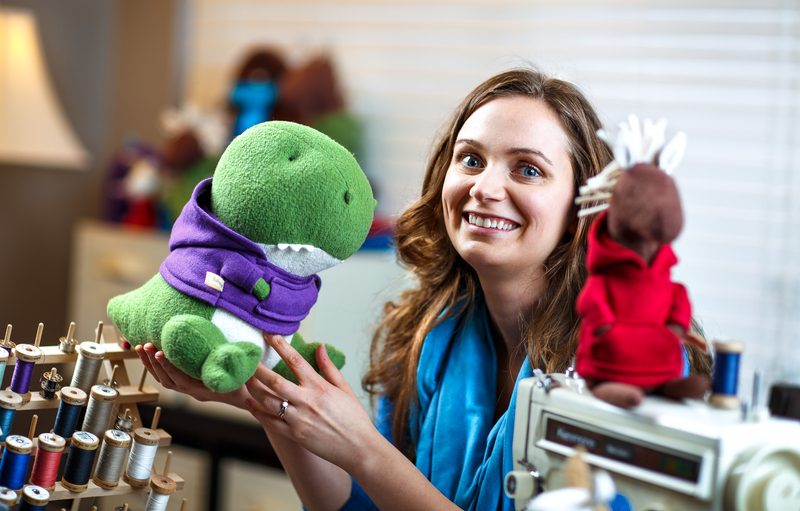 Jenny created Fluffmonger – a collection of stuffed animals– when she was diagnosed with Lupus 6 years ago. She started sewing after she had to leave her job as an art teacher. She found a pattern online for a stuffed animal elephant and was hooked. “It wasn’t until I started sewing that I found what I really wanted to do,” says Jenny, who is currently learning how to build her business by participating in the Triad Startup Lab. Jenny makes each animal by hand using all organic fabrics and fiber reactive dyes, all bought from fair trade manufacturers. “I like organic fabrics because they’re definitely better for the people that get them, but also better for the people working in the mills,” Jenny says. Each animal can take anywhere from 6 to 20 hours, depending on the stuffed animal’s size and number of pieces. 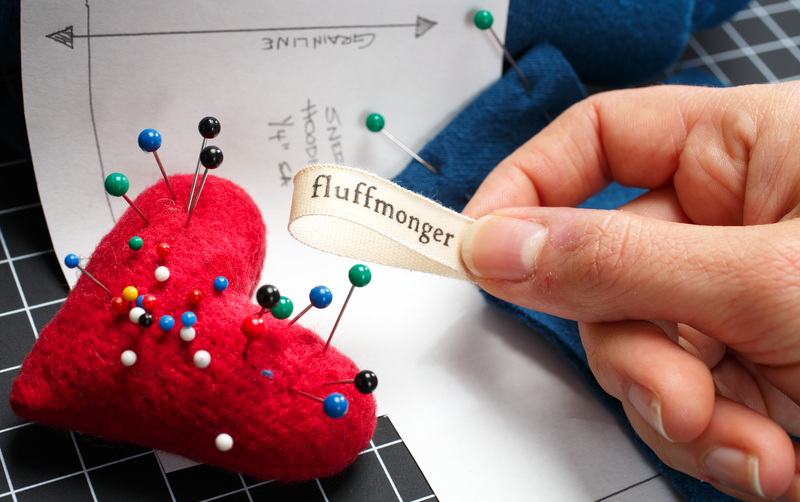 Fluffmongers can be bought on Jenny’s Etsy shop and are typically $100-150 due to the extensive time and high-quality materials Jenny puts into all her creations. The nicknames Jenny has for her cat, Buster, have been the inspiration behind many of the unique names Jenny gives her Fluffmongers, including Falafel and Love Monster. “Every name of the animals is taken from what I’ve called my cat at some point,” Jenny says. Jenny’s animals all come with lovable traits, including her favorite animal, the T-Rex Snert, who has a habit of storing “fat dinosaur snacks” in his hoodie. But Jenny wants the people buying her creations to have the freedom to give each creature its own personality. “I don’t make any of them smile because I want children to be able to assign their own emotions to them,” Jenny says.